Jamie has been in racing for over 30 years. He started driving a go kart at age 7. By the time he was 17, Jamie was driving late model stock at Caraway Speedway in North Carolina. He made his NASCAR Camping World Truck Series debut at age 19, and his NASCAR Xfinity Series debut two years later. Jamie had the opportunity to work on cars at an early age. At age 12 Jamie was painting cars in the family body shop until 5 or 6 at night, and then work in his dad’s race shop sometimes til the morning hours. “I admire my Dad so much for the hard work he put in in order to get to where he got. Blood and sweat. I watched it. I got to help”. Jamie has earned a reputation for building fast race cars and developing drivers who win. From winning the UASA Championship with Travis Swain, to helping Garrett Jones get his first late model win, Jamie Skinner can make your car and driver fast. Dustin knows what it takes to win. 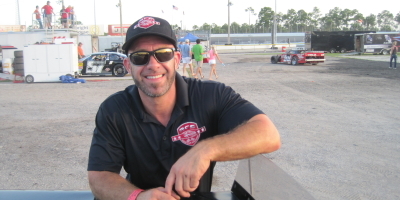 His success as a driver has transitioned into success as a driving coach and crew chief. Building race cars and building drivers is what Dustin does. His hard work in the shop, vast engineering knowledge, and dedication to the sport of racing results in WINS at the race track. 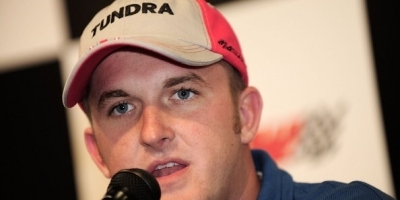 Mike Skinner is a NASCAR Champion. In 1995, Mike Skinner won the Camping World Truck Series Championship. In his 22 year NASCAR career , Mike competed in the NASCAR Sprint Cup Series, Xfinity Series, and the Camping World Truck Series. In NASCAR’s top Series, Mike earned 29 wins, 199 top tens, an 58 poles. Mike still climbs in the driver’s seat for special events such as the Goodwood Festival of Speed. He enjoys passing his 40 years of racing experience on to young talent and being a mentor and Driver Coach so they can fulfill the dream that he discovered in the sport of NASCAR racing..
© Copyright Racecar Solutions LLC 2015. All Rights Reserved.